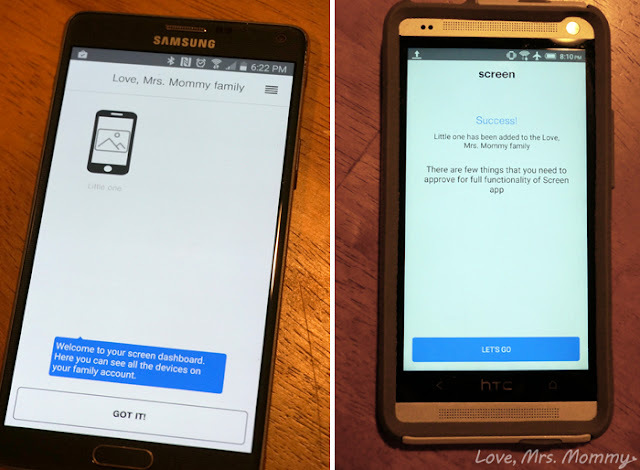 Love, Mrs. Mommy: Let Screen Take Back Control of Your Kids’ Electronics! 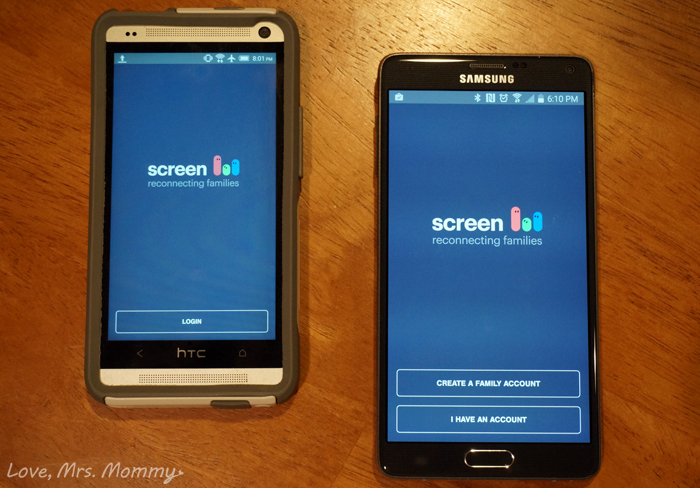 Let Screen Take Back Control of Your Kids’ Electronics! I received compensation for my review of this app. All opinions are my own. My daughter likes watching YouTube toy un-boxing videos a little too much. She is fascinated with scrolling through the wide range of videos featuring her favorite princesses and toys that catch her eye. With her never-ending desire to watch these videos, I grew tired of always having to take the phone away from her and be the bad guy. So, I decided to do something about it. Welcome to my home, Screen… you are just what I have been looking for! Screen is a mobile app that can turn off all connected electronic devices, as well as show how and where devices are being used. Now you don’t have to worry, if your kids are using their phones in school or while they are in their room and supposed to be studying. Screen will be able to tell you what your child(ren) are viewing and for how long they have been using their devices! As my daughter hasn’t breached the 3-year-old mark yet, I don’t have to worry about her using electronics in class or when she is supposed to be doing her homework. But, I certainly don’t want her looking at a screen all day long. I was pleasantly surprised at how easy it was to download and set up the Screen app. There is a parental control app, which will go on your phone and a child app for their device(s). 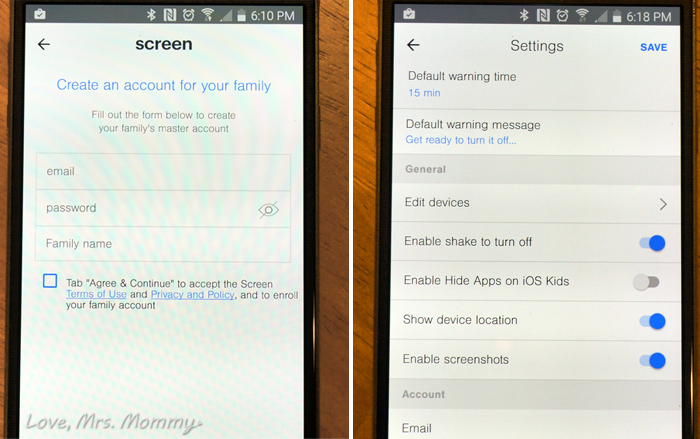 Once downloaded, you set up an account for your family and then add your child’s device to that account. When completed, you will be notified with a “Success!” notice. At that point, you can set up a number of options for your needs. You can enable features like a warning time for when devices will be turned off, a shake feature which will automatically turn off the device when shaken, show device location, and even enable screenshots. That’s right, if you have worries about what your kids are doing on their laptop, phone or other electronics, this app will take random snapshots of their screen! Wow! 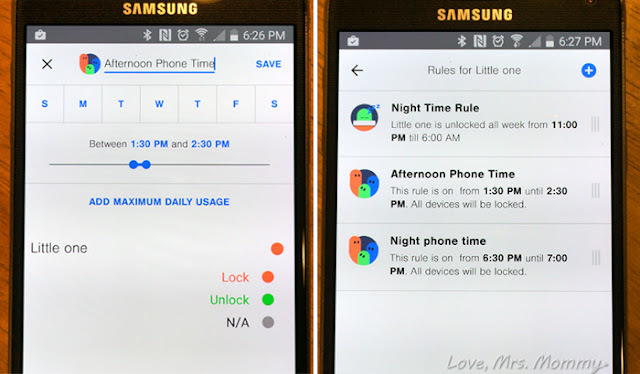 One of the best ideas Screen came up with is how parents can set up times when certain devices can be used, and when they should not. You can set up any electronic device that your child uses and schedule the times when it’s ok to use. For instance, you can set up a laptop to be available for homework from 6:30pm-8:00pm and if they need additional time to complete their assignment, you can add it to their device so it won’t shut off. 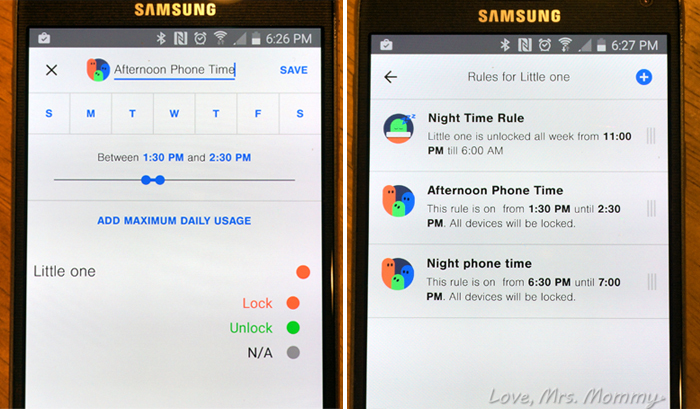 This is such a great feature, as now your child’s phone (laptop, gaming console, etc.) will automatically turn off when you schedule it to do so. Now, you can monitor how long your child has been on their electronics without having to harp on them, which will save you both a lot of frustration. Thanks to Screen you can take your title back as Mom (or Dad) and leave the Bad Cop behind. Woo hoo! With features that can change and grow with your family, you aren’t locked into what you originally set into place when you installed the app. It’s nice to know that Screen can grow with your family and be tailored to fit each child’s needs. After all, the needs of your child this month, might very well be different even a month from now and this way, you know Screen has you covered. Connect: Find out more about Screen by visiting their website. Then make sure you “like” them on Facebook and follow them on Twitter. Buy It: You can purchase Screen on their website. You will receive a Parents’ app for iPhone or Android, unlimited apps for kids’ devices and set top box for up to 3 TV connected devices for a now discounted price of $99! A $60 savings! Some very good information. Thanks for sharing. This is so useful in helping to monitor internet use! So happy to have learned about this app! This sounds really neat! Thanks for sharing. I think this could be a very useful tool for parents. I love this!! So important to be able to limit screen time!! I swear my kiddo is hooked! None of my nieces have their own electronics at the moment, but I am sure my sister will be interested in it once they do. Thank you for sharing this post. Great way to monitor the kids. Sounds like a great app, but I'd have to really need it to pay that for it. My kids are grown, but I babysit my 5y/o grandson after school and he loves using my old smartphone (it doesn't have cell service, but he can do a lot w/ it using my home wi-fi.) He's limited to one hr. a day of total screen time on school days and 2 hrs. on non-school days (tv, computer, phone, Leap Pad, Kindle, whatever.) On nice days or when he has my neighbor children to play w/, it's not much of a problem, but on other days when he's more bored, he can really try to argue w/ me about the 1 hr. rule. So this would fix that, and I can see it helping other people who are having trouble monitoring their children's usage. I am telling my sister and brother about this app. This looks like a great app to have. You can control how much & how long your child is hooked to their electronic devices, ensure they don't overdo it, plus monitor what they are doing to ensure their safety. I have three kids with their own devices so this app would really be good. I could keep a better check on what is being done/viewed when I'm not around. I'm sure it is a challenge in this day and age to keep the children from always having their face in a cell phone. This sounds like a good app. Good luck with it. This is great for those of us with little ones! Very useful.